For surface mount or recessed mount installation under cabinet. Max. 24 inches (61 cm) long cable between each lamp. 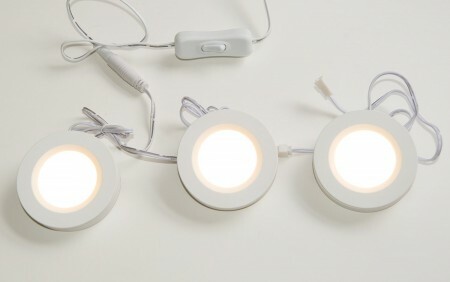 3000K warm light temperature, produces calm, relaxing light suitable for cabinets, bookshelves and closets in kitchen room, library room, living room or dining room. Surpahs' 100% satisfaction guaranteed. Same product source to supply Costco, Target, etc.